At EAC your kids will enjoy an AWANA program that’s customized to give your kids a solid biblical core and help develop quality relationships that will last throughout their high school career and even beyond. Awana club meets Wednesday evenings from 6-8 during the school year. The children are divided into two age appropriate groups. The younger group is the Sparks (5 years old through 2nd grade) and the older kids Truth and Training (3rd through 5th grades). The kids rotate through three stations: Large Group Story Time, Small Group Memory Verses, and Activities Time. For more information about the EAC AWANA program, contact our children’s ministry director Paula Augustine. Or just stop by any Wednesday night and check out the fun. During the Sunday School hour on Sunday mornings children enjoy the Truth Trek classes. They are immersed in Biblical history to gain a deeper understanding of God’s purpose and plan for mankind. 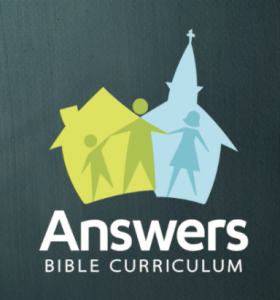 The Answers in Genesis Program is the core curriculum used to give the true historical insight of the Bible stories from Creation through Christ. Even though classes are taught in smaller groups based on age level; all classes, Kindergarten through 5th grade, are studying the same era of history. Bring the kids at 9:15 am on Sunday mornings to take advantage of this opportunity. As every parent knows, sitting still for sermons is just not in the cards for young kids (ages 4-8). Each Sunday families are invited to worship together and before the sermon time children are excused to take part in a large group time, discovery church. Children gain a deeper understanding of God’s perspective of the church and how they fit with this picture. Discovery church covers a wide range of topics including: introducing children to current and historical missionaries, going back in time and learning about New Testament churches, gaining a bigger understanding of church traditions, and learning to interact with others through serving. Worship as a family with the church at EAC beginning at 10:30 am and while you are taking part in a deeper understanding of relevant Biblical concepts for today your young children are learning in Discovery church. Caring nursery workers are available to entertain the littlest ones during both the Sunday School hour and the Church hour. Two nurseries provide a safe environment for babies birth through 3 years.